An award-winning entrepreneur and business coach outlines an easy-to-follow formula that helps you own your unique value, make more money, have more impact, and get more out of life--all without being pushy or sales-y. Meant for More is a How to Win Friends and Influence People for the modern age. It shows you how to stand out in an increasingly noisy world by simply offering your unique skills and talents and helping others do the same. It offers tangible skills to use in all areas of your life, including work, to increase your success and do good while you're at it. It speaks to people looking to leave the 9-to-5 for more freedom and fulfillment; stay-at-home moms going back to work; young Boomers worried they're too senior (and expensive) to find new jobs; idealistic Gen Xers and Millennials unwilling to toe the company line; and experts in any field who want to cash in on their expertise while making a difference. In Meant for More, an award-winning entrepreneur and business coach outlines the formula for getting the "more" you've been longing for: a proven system to sell yourself and your one-of-a-kind gifts to the people you were meant to help and reap the rewards that come when you stop giving away your gifts for free. 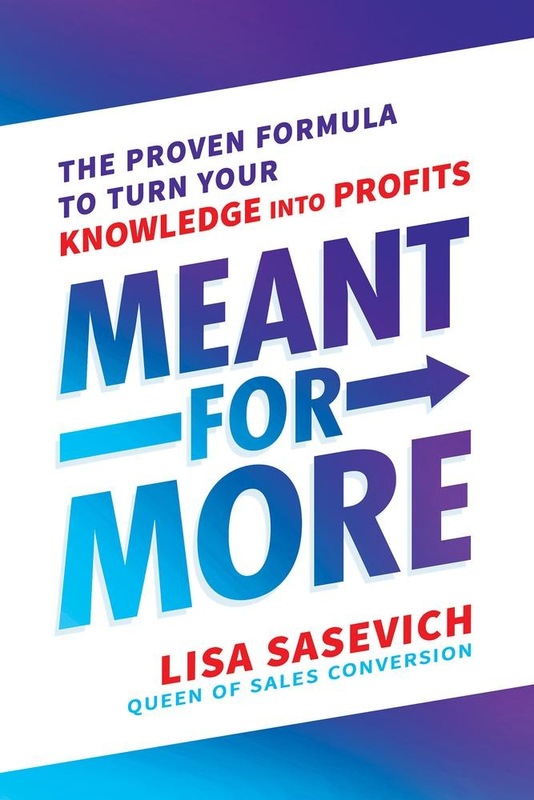 The Meant for More Formula helps you upgrade your mind-set, unwrap your unique gifts, claim your value, and make irresistible offers so you can get what you're worth and make the difference you're here to make--in a way that isn't remotely pushy or sales-y. We all long for more: More impact. More success. More fulfillment. More abundance. More freedom. More joy. But it's not necessarily easy to fulfill this longing. We all know someone who clearly has so much to offer the world but who holds back out of fear--fear of failure, or of success; fear of putting herself "out there"; fear of being perceived as pushy or full of himself. Maybe that person is you. Acquista Meant for More in Epub: dopo aver letto l’ebook Meant for More di Lisa Sasevich ti invitiamo a lasciarci una Recensione qui sotto: sarà utile agli utenti che non abbiano ancora letto questo libro e che vogliano avere delle opinioni altrui. L’opinione su di un libro è molto soggettiva e per questo leggere eventuali recensioni negative non ci dovrà frenare dall’acquisto, anzi dovrà spingerci ad acquistare il libro in fretta per poter dire la nostra ed eventualmente smentire quanto commentato da altri, contribuendo ad arricchire più possibile i commenti e dare sempre più spunti di confronto al pubblico online.